There was a great temptation for a soldier to part take of alcoholic drinks, both at home and whilst overseas. With spare time to fill, and may be not much else to do, the availability of low-price alcohol could be too much of a temptation and soldiers may end up drinking too much. This would make them inefficient in their work as well as possibly causing discipline problems. 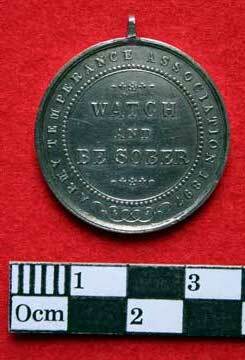 Temperance Associations were established in the Army, both at home and overseas. 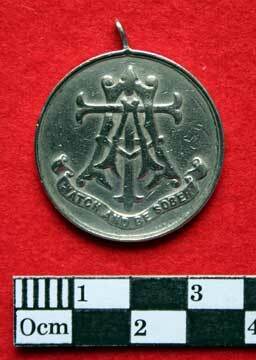 The museum's collections contain a few items relating to Army Temperance. 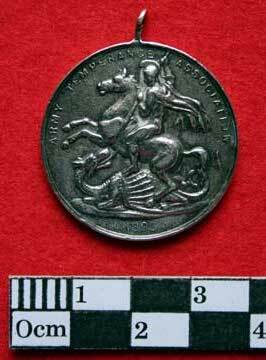 Army Temperance Association Medal, 1893. 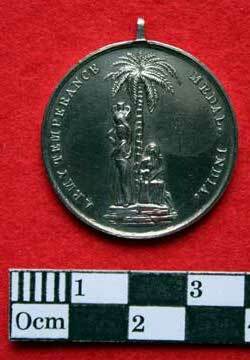 Army Temperance Association, India, Medal, 1897. 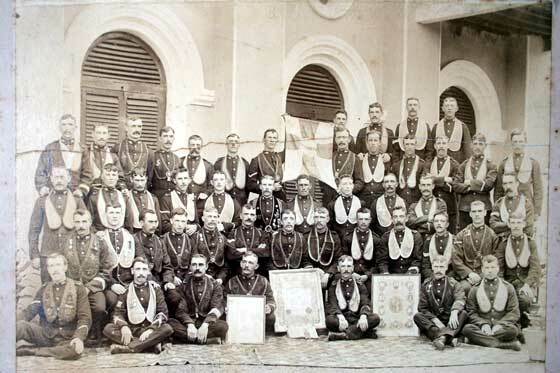 Royal Army Temperance Association, India. 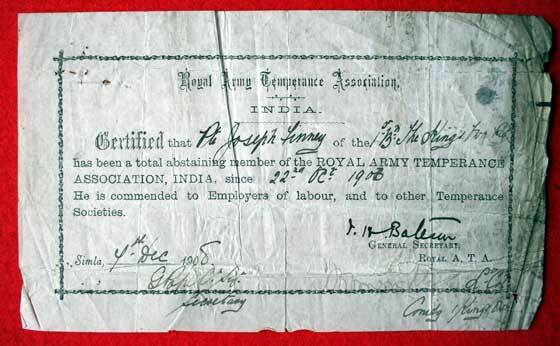 Certificate to Private Joseph Henry of the 1st Battalion, King's Own Royal Lancaster Regiment who has been a total abstaining member of the Royal Army Temperance Association, India, since 22nd October 1908. Dated 7th December 1908. 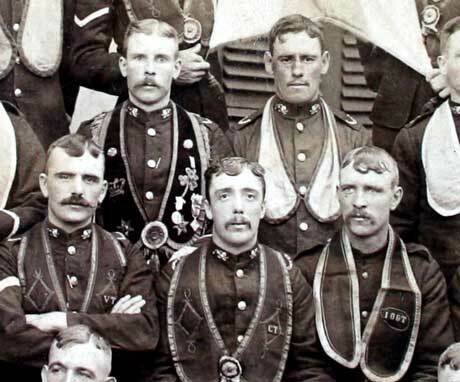 The 2nd Battalion King’s Own Temperance Group in India, 1892. 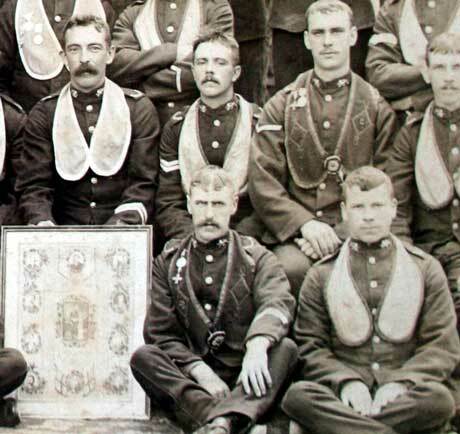 'IOGT' stands for Independent Order of Good Templars and can be seen on some of the collars worn by the soldiers in this photograph. 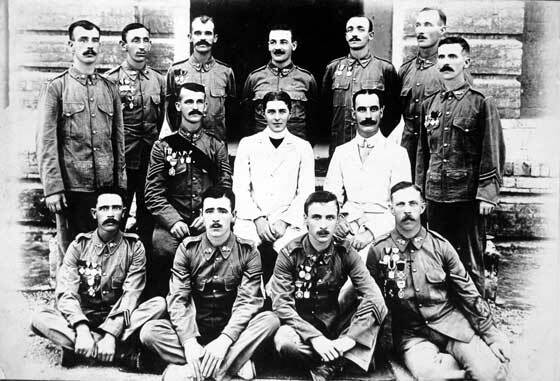 Temperance Group, members of the 1st Battalion of the King's Own Royal Lancaster Regiment, in India, circa 1908-1912. 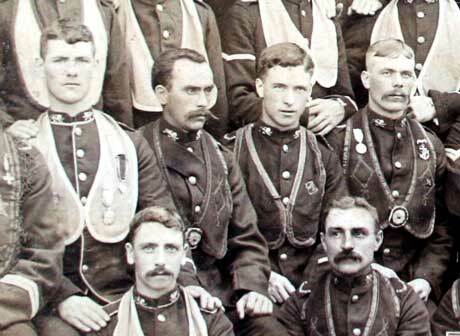 The General Secretary, Reverend Martin is in the centre, and sat next to him to the right is Captain Henry Clutterbuck. From The Lion and The Rose, April 1908. Regular sessions of this Lodge were resumed in the Infants’ School Room, Lebong, on Thursday 12th March 1908. During the week prior to this date, on the arrival of the Left half Battalion from Rangoon, committee members were held among the more prominent brethren of the Order, and Private Finney was deputed by them to interview the Commanding Officer and obtain his sanction for the use of the School Room in which to hold their Lodge Sessions. It is extremely gratifying to note the readiness with which Lieutenant Colonel Somerville acceded to this request. 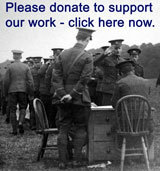 Workers in the cause of Total Abstinence have ever met with every possible encouragement at the hands of the Officers of the 1st Battalion, and it is to be earnestly desired that their evident interest in so good and great a cause should long continue. Owing to the cessation of business for the few weeks necessary to effect the change of station, the Lodge may be said to have only just got into working order again; yet already the Lodge Deputy of the Grand Chief Templar, Corporal Scott, is able to report an increase in membership of fifteen, while on the march only nine members were lost to our ranks through having violated their pledge, and we have high hopes of their restoration in the near future. Appended is the programme for the quarter ending 31st July; on dates marked (*) the sessions are open to non-members after 7-30 pm, when everyone so attending is made cordially welcome. The concluding verses are by Private Dickson, an energetic Lodge worker. 14 May* “Unity is Strength” paper by Brother Finney, Chairman, Reverend Keeling, CF. 2 July* Kindly contribute to the evening’s harmony. 9 July “Example better than Precept.” Discussion by the members. 16 July * More Harmony expected this evening. 23 July Expect letters from far and near. 30 July Nomination and Election of a new Cabinet. And soon a hundred will be seen. Heaven’s help we aye do seek. This is not be its ties bound. In the “King’s Own” Templar Band. “The King’s Own Pride” Lodge.